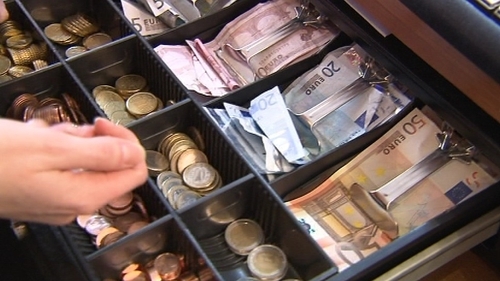 The economy grew by 4.9% in the year to the end of September, according to the Central Statistics Office. During the same period GNP, which strips out some of the impact of multinationals, grew by 3.1%. In the third quarter alone GDP increased by 0.9%, while GNP grew by 5.2%. Consumer spending, a key indicator for the economy, grew by 1%. For the first nine months of the year, GDP has grown by 7.4% and GNP by 7.5%. The third quarter figures have been heavily impacted by a very large import of aircraft for the aircraft leasing industry. EU growth in the period was 0.3% and in the Euro Area growth in quarter three was 0.2%. Negative growth was recorded in Sweden and Italy. Ireland's GDP growth was the fourth highest in the EU. On the spending side consumer spending was up 1%, while Government spending increased 1.8%. Large imports of aircraft for the leasing industry and intellectual property for the software and pharmaceutical industries resulted in a €3bn drop in net exports for the quarter. "While the economic situation remains favourable at present we must remain vigilant," said Minister for Finance Paschal Donohoe. "The Irish economy faces a number of significant risks, in particular the potential fallout from Brexit, with the probability of a no-deal Brexit having risen of late, as well as increasing trade protectionism and potential overheating as the economy approaches full employment." He added that careful management of the public finances is needed in order to chart a way forward through the uncertain times ahead. "Today’s numbers show that the Irish economy remains in a very strong position despite the external backdrop," said Gerard Brady, Head of Tax and Fiscal Policy at Ibec. "GDP growth in excess of 7% is based on strong domestic activity with the volume of domestic demand up by almost 5%." "It is clear also that growth is benefiting consumers with household spending up 4.5% in value terms." However, Mr Brady added that member feedback suggests that many sectors are facing a more difficult period in the months ahead due to the weak Sterling and continued Brexit uncertainty. "In the run-up to Brexit it was inevitable companies would hold back investment decisions until there is a clearer understanding of what the final relationship between the EU and UK will look like," he said.